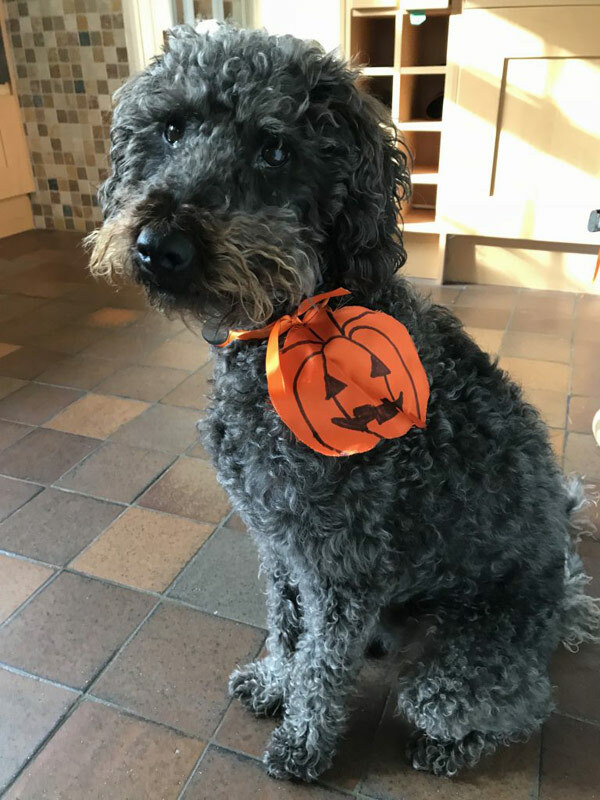 Halloween – not quite sure what that is all about. Why would you set light to pumpkins and don’t get me started on the spiders, although I have been known to snack on the occasional spider. I have however watched you all play a game called apple bobbing. I really don’t like apples so I thought I would make up my own game in the style of apple bobbing. I love a tennis ball and I may not be a keen swimmer but I do love a puddle on the beach, so put the 2 things together and I have a fab game that I thought I would share with you. Just click on the title at the top of the page to view my video. Hello, my name is Baxter!